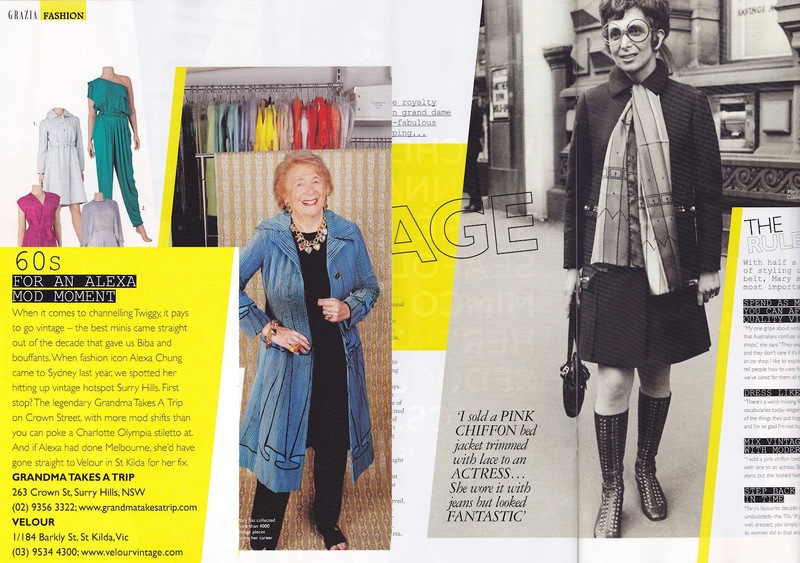 Thanks again Grazia magazine for another mention of Velour in this weeks issue, amongst a great article on the inspiring Mary Lipshut of ML vintage, and alongside Sydney institution Grandma Takes a Trip. The only issue being, our boutique is no more - making shopping with us a tad tricky right now! The online store is currently undergoing some some tweaks so keep tabs on our Facebook page and we'll let you know just as soon as it is up and running smoothly - not long now!